Teenage boys in handmade and vintage streetwear while out and about in Harajuku. 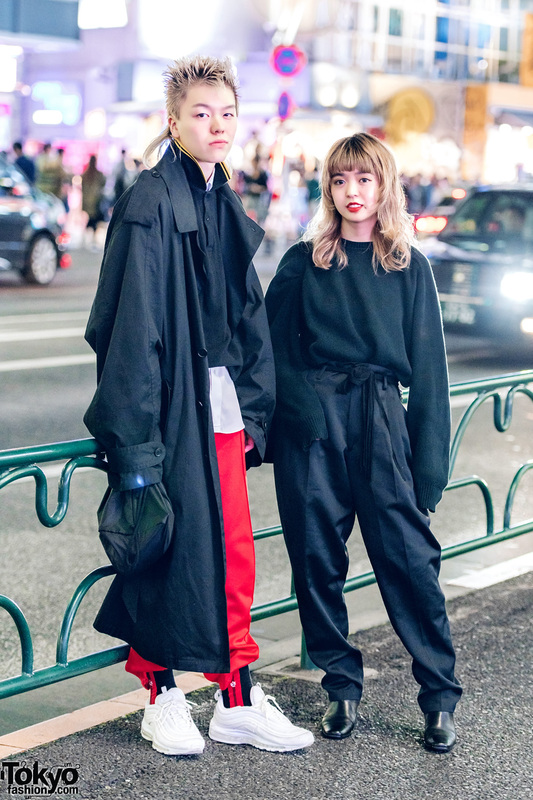 Japanese duo in casual streetwear styles while out in Harajuku. A beauty school student out on the Harajuku street sporting a stylish minimalist outfit. White-haired beauty school student sporting a corduroy coat over a jacket, black cuffed pants and white lace-up shoes. Japanese hairstylists in long coat fashion styles w/ gray coat over black jacket and red turtleneck top, black pants and boots; a vintage leather coat, ripped jeans and platform lace up shoes. 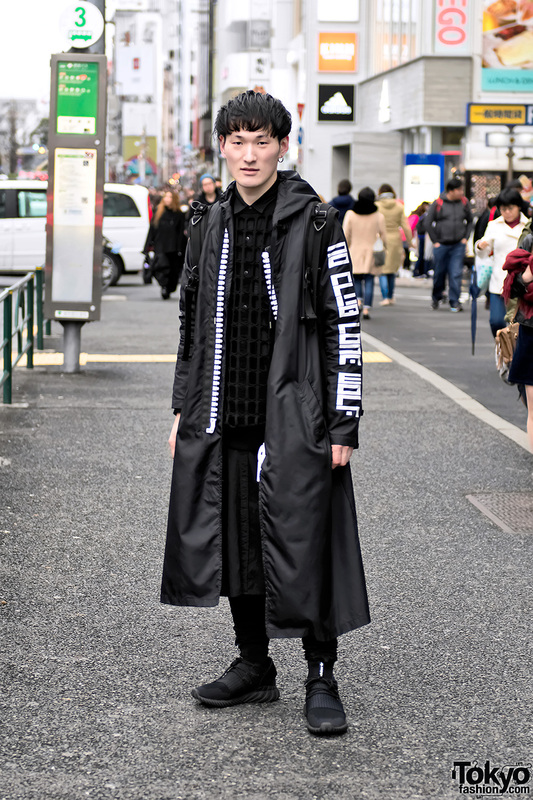 Harajuku guy wearing a long hooded coat by the Japanese designer MiharaYasuhiro with Sub-Age pants and Adidas Tubular Doom sneakers. 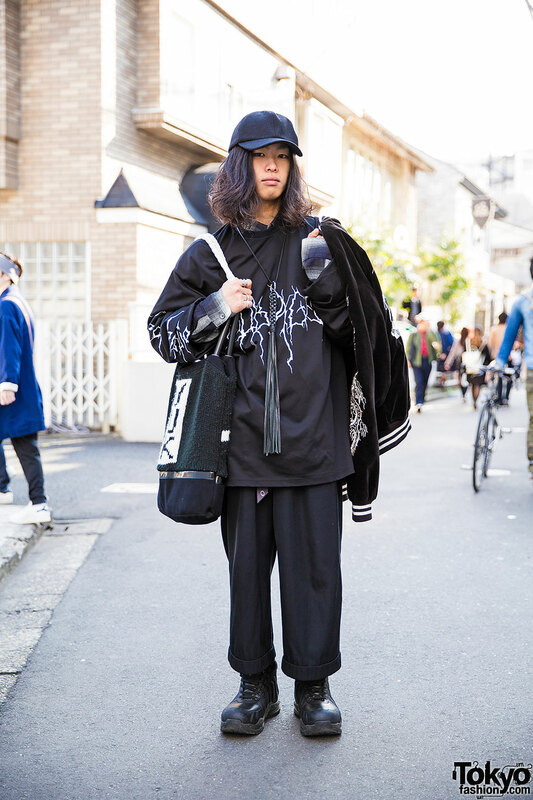 Harajuku guy with long hair and cap in sweatshirt, souvenir jacket, black pants, sneakers, braided necklace and knit bag. Three staffers from the popular Tokyo boutique Never Mind the XU in monochrome styles on the street in Harajuku.